"No Wake" signs on private property are an appeal for courtesy, but police will now be able to ticket drivers who speed through floodwater. 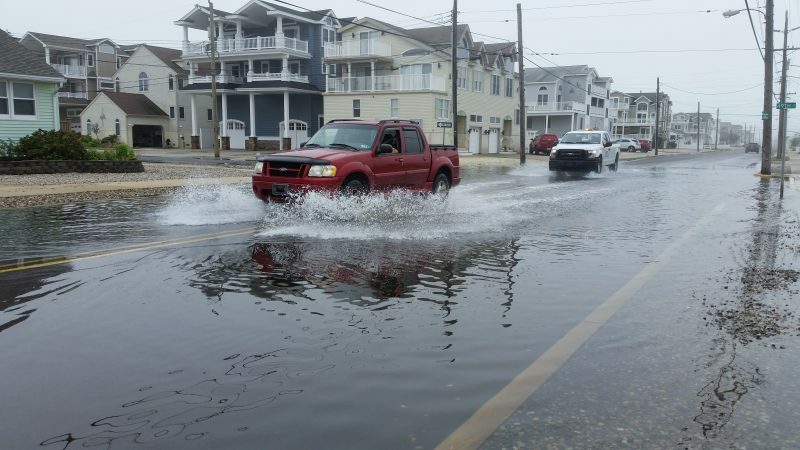 Motorists in Sea Isle City now risk being pulled over by police if they speed through flooded areas and churn up destructive wakes of water that slam into garage doors or other private property. The law prohibits motorists from sending waves of water over the curb line when street flooding is at least 6 inches deep. Councilman William Kehner, chief proponent of the ordinance, said homeowners in his neighborhood have had their garage doors damaged by drivers recklessly speeding through floodwater. At his house on 33rd Street, Kehner once had three flower boxes swept away by wakes of water. Kehner said some drivers are out joyriding in storms, causing “a decent amount of damage” in the process. Sea Isle officials say waves of water churned up by motorists can cause damage to surrounding homes. Kehner has been pushing for a new law in Sea Isle for the past two years after seeing property damage in his neighborhood caused by drivers zipping through floodwater during storms. 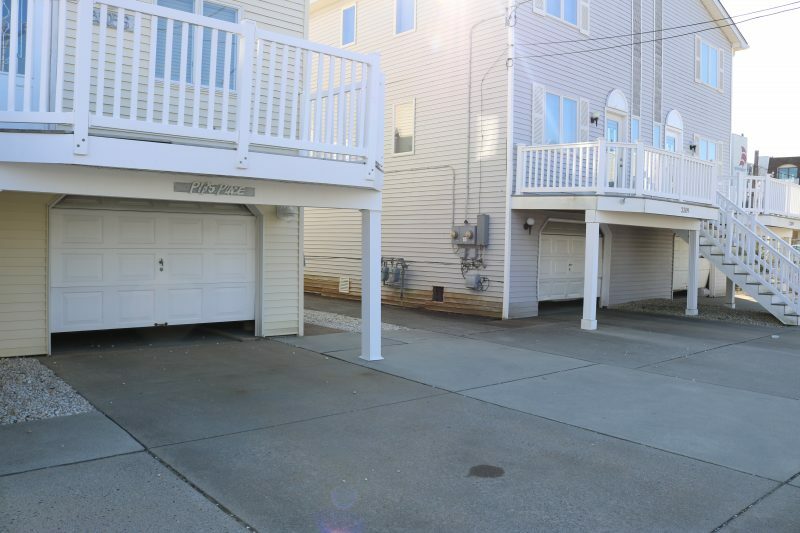 His neighborhood surrounding 33rd Street and Landis Avenue is one of Sea Isle’s flood-prone areas. Some homeowners intentionally leave their garage doors open several inches to try to lessen the destructive force of wakes of water. They would rather have water seep into their garages instead of having it slam into the doors and causing structural damage, Kehner said. One homeowner, at the corner of 35th Street and Landis Avenue, has installed garage doors that feature a lattice-like design on the bottom to lessen the blow of water crashing against the house. 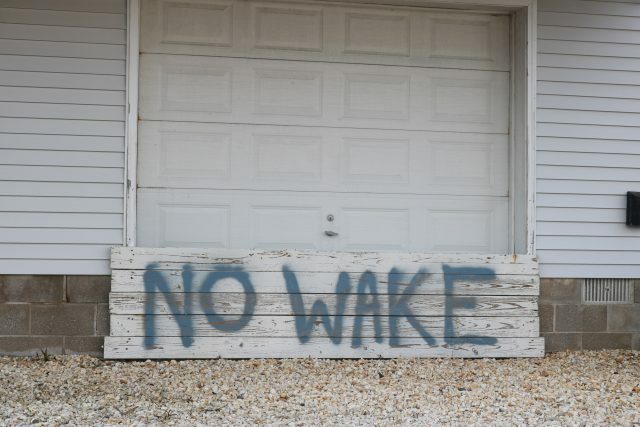 Some Sea Isle residents have taken matters into their own hands by posting their own “No Wake” signs in front of their homes in hopes of protecting their property. Private signs are not backed up by any laws or enforcement action. They are more of an appeal to common courtesy. However, the new ordinance now gives police the ability to ticket drivers who speed through flooded areas and cause wakes. Some homeowners at 33rd Street and Landis Avenue intentionally leave their garage doors open several inches to lessen the impact of wakes of floodwater. Sea Isle is following other shore towns that have created so-called “no wake zone” laws to protect homes and other property from damage. North Wildwood and Ship Bottom have adopted ordinances to deal with a similar problem. Since those ordinances began last year, there have been fewer complaints from local residents about drivers speeding through flooded areas, suggesting that the laws are working, Kehner said. “They claim … that it has cut back most of the complaints about people clowning around during storms, out joyriding, so to speak, in their 4-by-4s and causing the large wakes that are causing the damage,” he said of the ordinances in North Wildwood and Ship Bottom.